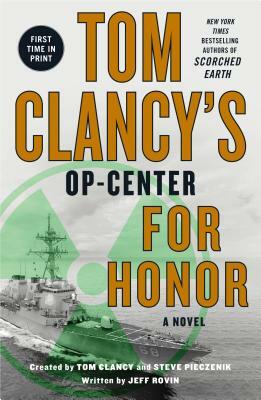 In For Honor, a chilling new thriller in the New York Times bestselling Tom Clancy's Op-Center series, simmering tensions threaten to ignite when a silo of Cold War missiles surfaces in the Middle East. More than sixty years later, that silo and its lethal contents are intact. Now, Iranian scientists team with a Russian agent and his estranged, arms-smuggling father to bring those missiles to Tehran. When an intel officer at Op Center starts picking up hints of the deal, the government's off-the-grid unit must track the unknown actors -- and try to decide whether they can count on data provided by an Iranian defector, a man who has more at stake than anyone realizes. Complicating matters is a turf war between Op Center, the White House, and the FBI that threatens to compromise the investigation…as the time to act grows perilously short.